Background vocals are one of the most important elements of a good song. They fill out the sound of the lead vocal, making it feel larger than life. But poorly-mixed harmonies can ruin a vocal, weighing it down with a muddy sound. I’ve heard song after song where the vocals sounded amazing, but the song was unlistenable because of the BGVs. 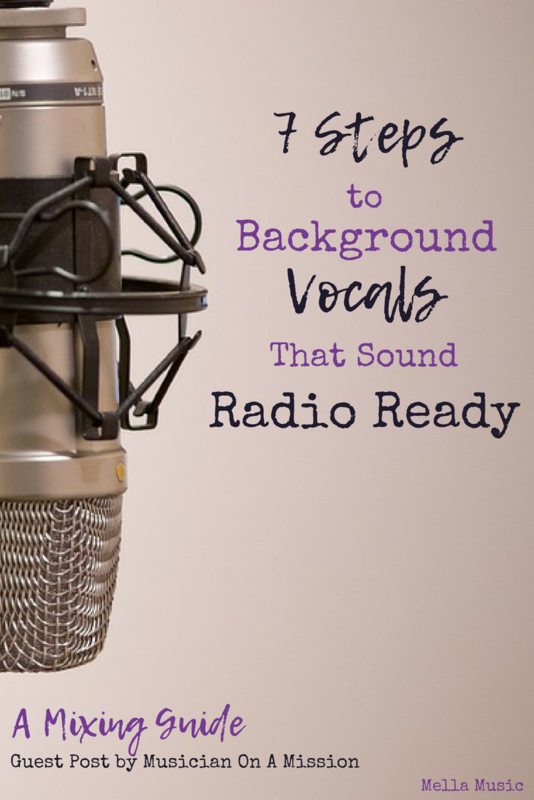 So today we’re going to cover the 7 steps to a radio-ready background vocal. With this technique, you should be able to mix your harmonies to sound professional in under five minutes. Let’s get started. This whole point of background vocals is to support the lead vocal. So you need to make sure you mix your lead vocals first. 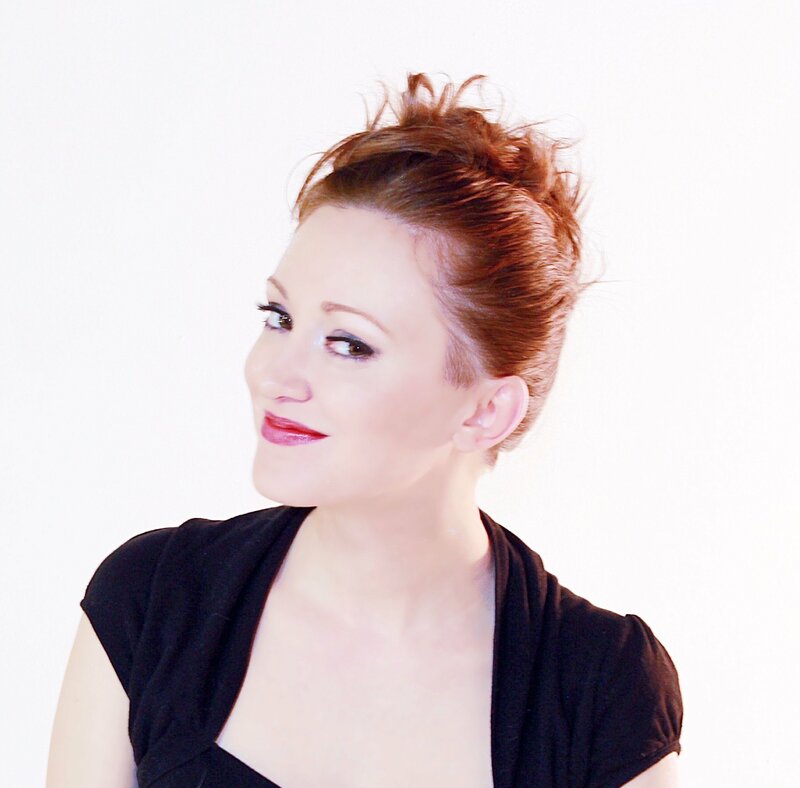 Take the time you need to make your lead vocal sound incredible. There are no shortcuts there! Once your vocals are mixed, you may want to take some time to edit or tune your harmonies. Background vocals don’t follow the same rules as lead vocals. You want them to create a foundation for your lead vocal to sit on top of, meaning they need to be more in tune than your lead. Now that doesn’t necessarily mean auto-tune them. That’s never going to sound natural. But don’t be afraid to be more liberal with your tuning than with the lead vocals. Getting your BGVs prepped will solve a lot of problems before the mix even begins. Your first step is to make a master bus for your BGVs. What this means is that you want to have the output of each of your background vocal tracks set to the same bus. This bus will be where you will mix your BGVs. The great thing about bussing is that whatever plugins you put on it will be applied to every single one of your BGV tracks. 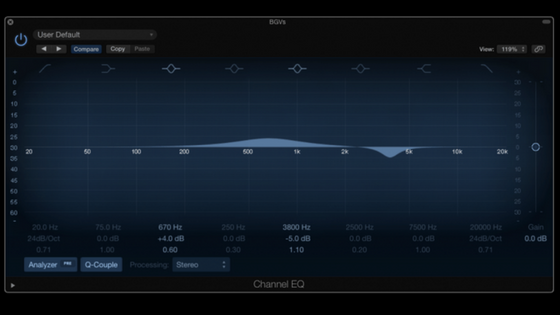 That will make your mixing process 10x faster and will make the final product sound more professional as well. Next, copy each of the plugins on your lead vocal to your background vocal bus. This works especially well if the BGVs were recorded in the same room, with the same mic, and the same vocalist. I’d usually recommend changing up the mic for your BGV’s to give them a different flavor than your lead vocals. Most home recording sessions are strapped for time, though, making tonal tweaking more of a luxury. Play the loudest part of the song on loop and check your compressors. Is the compressor getting slammed, reducing too much gain? Back off the threshold, adjust the makeup gain, and you should be fine. Check the rest of your plugins too to see if there’s any weirdness happening because of the change in volume and tone. …then cut the BGVs at 3.8kHz for -5dB’s. Make sure, though, that you don’t reverse any surgical cuts you made in the main vocal. For instance, if you cut out any room resonances in the recording, leave those be. Boosting those sounds would make your BGVs sound much, much worse. The background vocals need to be consistent. They’re going to be laying down a foundation for the lead vocals to sit on top of. So you can’t have random notes sticking out of the mix. To combat that, we’re going to compress our BGVs hard. Increase your threshold until you’re getting 5-10dB’s of gain reduction, then adjust the makeup gain. That should be enough to make your harmonies consistent through the whole song. BONUS TIP: If having compression that heavy is making the BGVs sound weird in the mix, then try using serial compression. That’s where you use a lighter setting on a compressor (less than 4dB’s of gain reduction) and simply make another copy of the plugin. This should give you the same amount of gain reduction, but will sound more natural in the process! 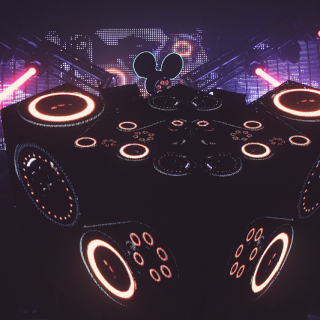 If you have several background tracks, you’ll want to pan them away from the center. You don’t want your harmonies to get in the way of the lead vocal. How much you pan your BGVs is up to you. It depends on the song and your own taste. Whatever you do though, I recommend using the 50/50 panning method. 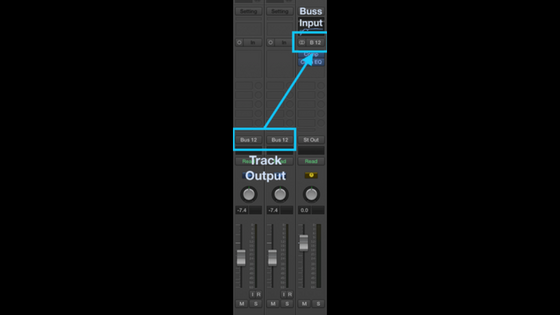 It will take the guesswork out of how to pan your tracks, and improve the stereo image of your song. 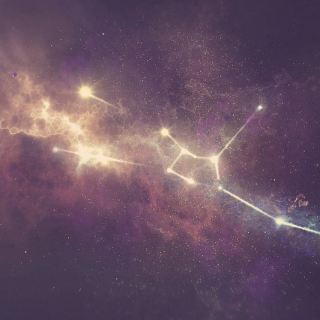 Now, time to add some space to your BGV’s. 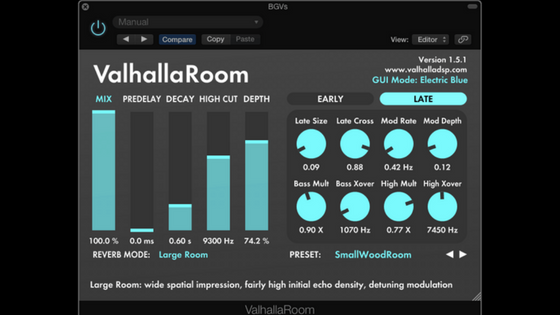 If you are using a single room reverb to send all of your tracks to, then make sure to send your BGV bus as well! You should adjust the send amount to be higher than the main vocals since you want more reverb on them. That will make them sound farther back in the mix than your lead vocals. If you’re not using a single room reverb for your entire mix, then set up a short room verb or plate and send your background vocals there. Alternately, if your main vocals are using any reverb, then send your BGVs there as well. That will create a nice sense of consistency in your mix. At this point, you have laid the foundation. And it only took a matter of seconds! This is where you put on your critical listening hat. Is there anything else that you are hearing that sounds out of place? Anything more that needs to be done? You might need to work on the tuning of your background tracks. 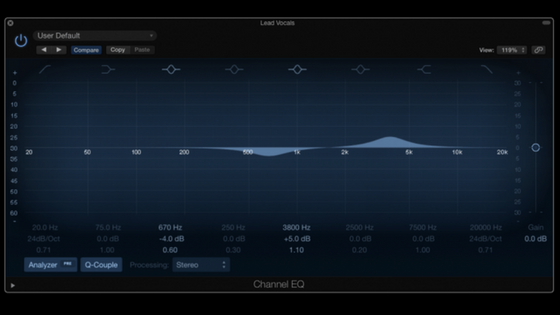 Or maybe you need to cut more frequencies with your EQ. What you have might not be enough for this particular song. 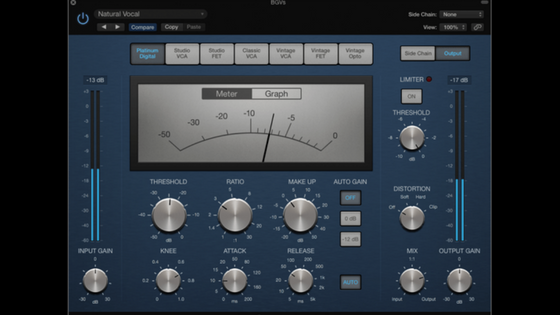 You may want to spice up your BGVs with some chorus or flanging. Maybe they need a little grit, so adding some distortion would be necessary. It’s entirely up to you. The sandbox is yours to play in! 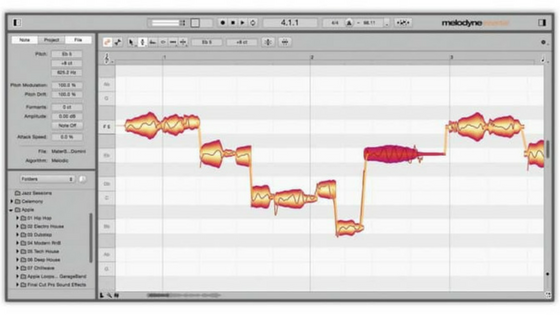 Now go out and make your vocals fit perfectly in your mix! 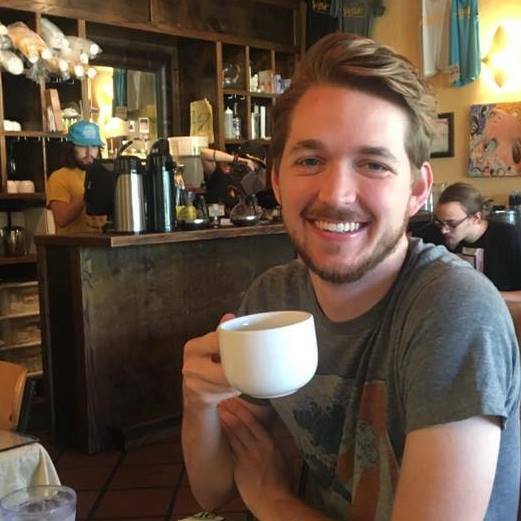 Thanks so much to Dylan and Musician On A Mission for this awesome guide! I made a Pinterest graphic with Dylan’s 7 steps, please feel free to save if you want! Steps to mixing background vocals that sound to us is very important and it is main part tanks for sharing.